Stand out of the crowd with this beautiful 9ct Gold Ring. Boasting a delicate and sophisticated design, perfect to match any outfit. A beautiful 9ct White Gold with an intricate rope knot design, making a great gift choice for someone special. Wear as a gorgeous statement ring, or team up with similar pieces to create a truly eye-catching look. The stunning 9ct Gold Ring boasts a delicate and sophisticated design, suitable to match a variety of outfit styles. Stand out for the crowd with this beautiful Yellow Gold Ring, featuring an intricate rope knot design. Ideal to be worn everyday or saved for special occasions. The Designer White Gold Ring makes a great gift choice for someone special and is a perfect addition to any fine jewellery collection. This fabulous Topaz & Diamond Ring can be worn as a fabulous statement piece, or teamed up with similar items for a truly eye-catching look. 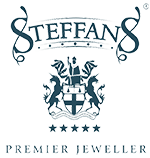 This Jewellery collection was founded in London in 1992, offering customers a range of collections, each covering a wide variety of looks from classic through to fashion styling. From an RJC accredited supplier committed to quality as well as design and customer services, and were the proud winner of the Retail Jeweller 2017 'Ethical Supplier of Year' award. A leading UK jewellery supplier with an enviable reputation for consistent excellence in customer service and innovation in product and brand development.